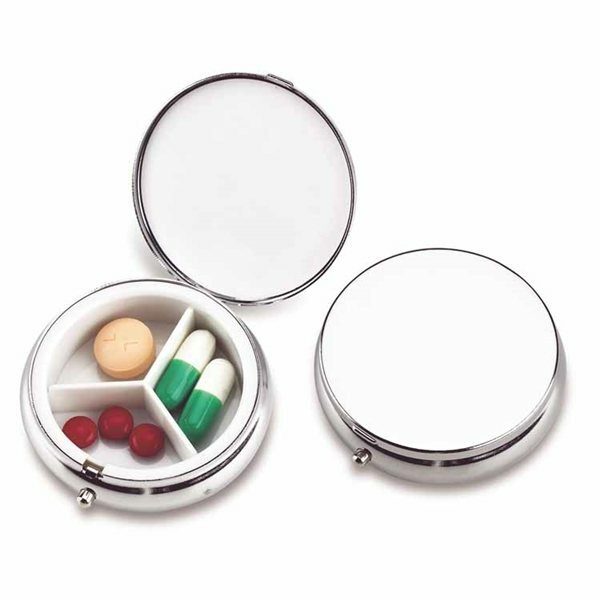 Bright, polished, chrome finish pill case with a white, three-compartment interior. Swing-open, hinged lid that snaps tight when closed. Top quality and looked great upon arrival. It looks good with the imprint. Your company was very fast efficient and professional. My contact person (Veronica) was amazing as well! I will definitely us you again in the future! I think the quality at the price sold is the best overall. Alicia was very easy to talk to and made sure that these product came out on time and according to my specifications. I like the message of this product, the presentation, the quality, and the price! I was happy to find something to give to my staff for Staff Appreciation Day this year. The logo design looked great and the product arrived on time!